What is the ZEN BOX? 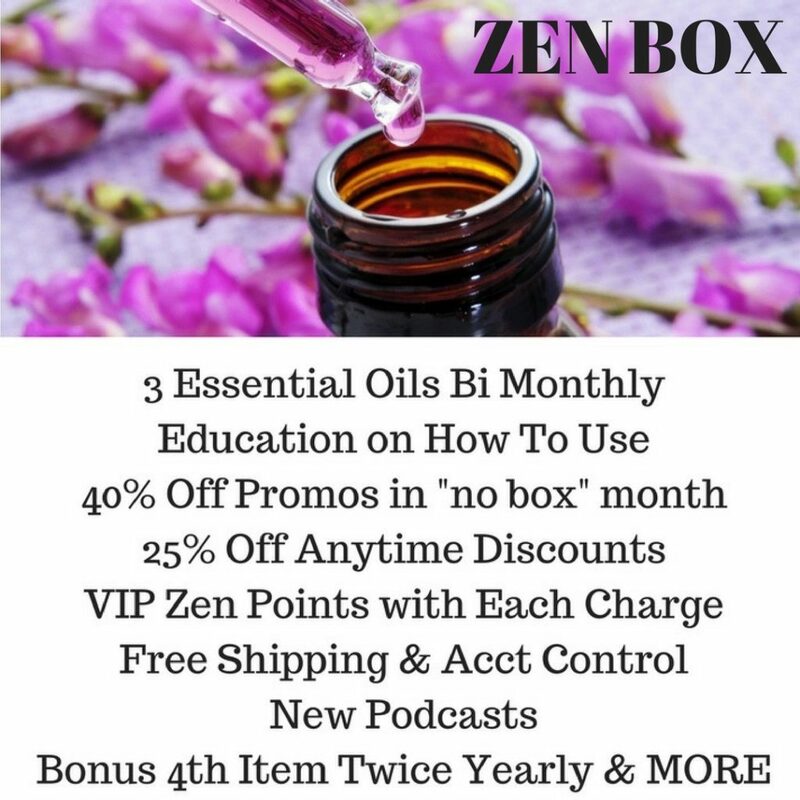 In 2016, ZEN BOX was a monthly subscription box, or monthly club, for Essential Oils. Starting in 2017, it will be an Every-Other-Month (bi-monthly) subscription box. Subscribers get 3 new Essential Oils and blends each month to their door! Information, usage instructions, recipes, history and fun information is sent by email to each subscriber. In 2016, quarterly bonus items were included (in January, April, July and October). In 2017, bonus items will be included in June and December! ZEN BOX members get a secret anytime 25% Off discount code, and on the down month (no box month), special promos at 35%-40% Off! In addition, Sublime ZEN POINTS are earned with every recharge of ZEN BOX or any purchase, for even more discounts and value. When will ZEN BOX ship in 2017? When am I charged? Zen Box will ship around the 5th of February, April, June, August, October and December! Special offers will be made in the “down” months for those who want more. Sign up no later than midnight of the 1st day of the same month the box ships, and you will receive it – boxes ship on or around the 5th of the months above. You will be charged EVERY 2 MONTHS from the date you sign up – unless you opt for the 1 time annual payment, offered at a discount. When did membership to the monthly ZEN BOX open up? What about 2017? Subscriptions opened up February 1st, 2016 and the first ZEN BOXES shipped Feb 20th! Each month, a new ZEN BOX shipped around the 20th. We have earlier boxes available for sale independently, in case there is an oil you missed and want or need. For instance, ZEN BOX #1 included Frankincense, Lavender and Immune Boost. 2017 membership is moving from Cratejoy (zenoilbox.com) to Sublime Naturals (www.sublimenaturals.com). Registration and subscription starts January 1st, 2017 with new and added benefits. What will be inside the ZEN BOX? Part of the fun of monthly subscription boxes is to be surprised! You will get 3 therapeutic grade Essential Oils and Zen Blends each month. Typically, 2 single ZEN oils (like Frankincense, Eucalyptus, Bergamot or Peppermint) will be included and 1 ZEN BLEND (like the Zen Immune Boost, Memory Booster, De-Stress, Congestion Breaker or Focus Blend) will be included (topical or aromatherapy applications). We will also offer ZEN AIR blends, aromatherapy blends (non topical use) for the home or office, such as ZEN AIR BLISS. We make the announcement when your box ships along with the 6-7 emailed guide! What was included in each ZEN BOX in 2016? December – Cinnamon Leaf, Siberian Fir Needle and Immune Boost. What is the Price? What does Shipping cost? Shipping in the US is absolutely free, and ships around the world with a shipping fee. The full price is $45 per box (value $59.99), but the annual discount brings down the price & current members get a 25% Off discount. What are the deadlines to sign up? When do they ship in 2017? ZEN BOX SHIPS ON OR AROUND THE 5TH OF FEBRUARY, APRIL, JUNE, AUGUST, OCTOBER AND DECEMBER. Every other month starting in February, or 6 times per year. Sign up by MIDNIGHT of the 1st of February to get the February box and going forward. Sign up by MIDNIGHT of the 1st of April to start with your April box and forward, and so forth. In other words, the deadline is the 1st of the box month to get that box and going forward. If you sign up January 15th, your first box is February 5th. If you sign up February 2nd, your first box is April 5th. If you sign up August 1st, your first box is August 5th. Sign up October 15th, your first box is December. How will rebilling work, if I don’t take the discounted 1-time annual payment? You are rebilled EXACTLY 2 MONTHS OR 8 WEEKS from the day you sign up. This can help your budget – if it is better for you to be billed near the beginning of a month, sign up then. If you like end of month billing, sign up then. Or midmonth. It gives you control. How will I order my ZEN BOX? How would I cancel? STARTING JANUARY 1ST 2017, you will sign up at www.SublimeNaturals.com First create a store account (which also automatically creates your Zen Points and Zen Box account); then simply add ZEN BOX to your Cart and purchase! For 2017 new memberships – Cancel, change, update or hold BEFORE YOUR REBILLING DATE (which depends when you signed up initially). Will I be able to put a hold on an order if I am traveling, or update my address if I move, or access my account information? Yes! We are all for self-empowerment. You will have full access to do this as explained above. Simply log into the site with your email and password, then Manage Your Account! Can I order from outside the US? Sorry, we don’t currently offer than option. Who is offering ZEN BOX? The company Sublime Beauty Naturals® offers ZEN BOX. Kathy Heshelow is the founder of ZEN BOX and Sublime Beauty Naturals. She is a member of NAHA (National Association of Aromatherapists) and author of “Essential Oils Have Super Powers”. The oils themselves are therapeutic grade, pure grade; bottle information includes source country, extraction method and expiration date. ZEN BOX subscribers will get the full info on each oil by email when the box ships! If I like a product in a ZEN BOX, can I buy more of it without ordering another box? Yes, Sublime Beauty Naturals® keeps a stock individual Essential Oils and Blends after they have appeared in the ZEN BOX. The products will be available on its own webstore (www.SublimeNaturals.com) and on Amazon. Will the box include individual Essential Oils, like Frankincense or Eucalyptus, or will there only be blends? Yes, typically each month we plan 2 individual Essential Oils and one blend. Of course, in some months we might shake it up and do something different. And don’t forget, you will get 4 items on the first month of each quarter. We also plan some extra surprises. How will I know what to do with the Essential Oils? We will email you each month about the time your ZEN BOX ships, and explain each Essential Oil and Blend, how to use the products, recipes, history and facts. 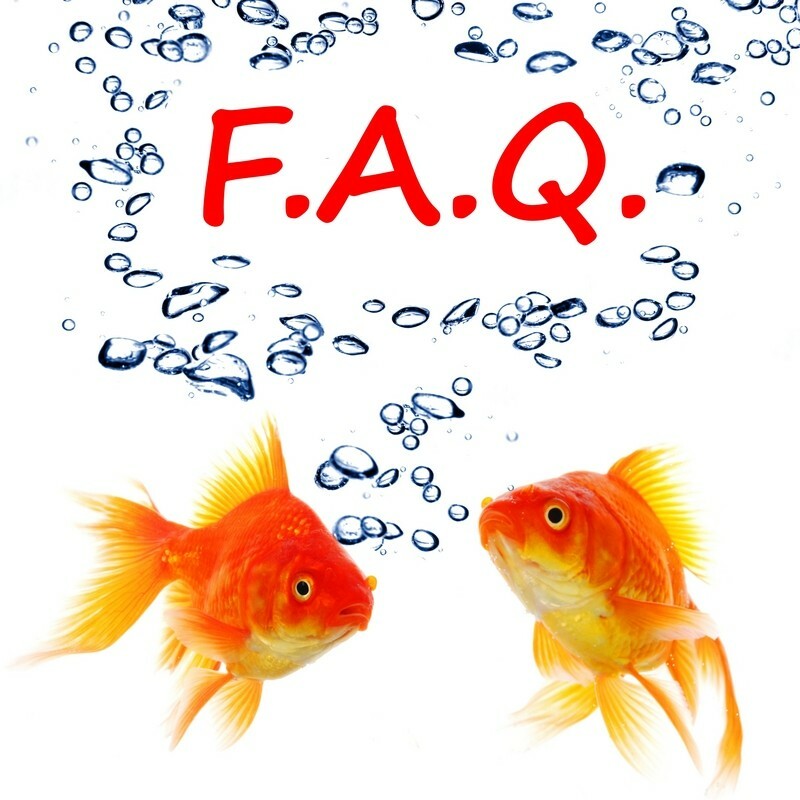 And we are always available for questions or discussion (by phone or email)! Starting in 2017, there will also be a podcast about the essential oils, too! What are the general methods of essential oil application or use? I understand you will give instructions on each Essential Oil we receive in our ZEN BOX, but can you explain the general ways they are used? Yes! The typical methods of use are: 1) inhalation. This can be from the bottle; from a little DYI inhaler; from a steam bath; from boiling water in a bowl with towel tent (especially good for congestion and colds); and from a diffuser, which diffuses the Essential Oil(s) into the air. 2) topical application. If a single oil is blended with a carrier oil, it can be applied topically to you skin; most blends come ready made with a carrier oil; you can add Essential Oils to your body oil, creams, gels or lotions; they are often found in massage oils for therapeutic use. 3) spritzers, especially good for homemade cleaning products 4) inside a sleeve, such as lavender under a pillow in a sachet or sleeve. 5) in a piece of jewelry made for holding Essential Oils that you wear. 6) on a compress (cold or hot). You typically place a washcloth or cotton in a small bowl of water than has about 5 drops of essential oil in it; swish the towel, wring it out and then place it on the affected area. The two most common methods are inhalation (from the bottle or diffuser) and topical use with carrier oil. We do not recommend ingestion unless working with a licensed aromatherapist. What is the Essential Oil quality, source and life? Are they “therapeutic grade”? All of our Essential Oils are pure, some organic; the actual source country, Latin name, extraction method and expiration date are on each bottle (most Essential Oils have a life of about 2 years if sealed tightly and keep in a darker area. EOs like coolness, too. Some of our clients keep them in the fridge for longer life). We do independent GC/MS testing on all oils (to assure purity), and these reports are available upon request! According to NAHA (National Association of Holistic Aromatherapy), the terms “therapeutic grade”, “food grade” or “medical grade” are not regulated terms and in the end, have little meaning – they are typically used for marketing purposes. NAHA recommends that oils be obtained from reputable sources with clear labeling of the common and botanical names of the plant, location of plant (country) and extraction method. Many companies don’t seem to include an expiration date, but this should be included (it indicates when the batch was made and the freshness or life of the EO). What if I have a problem with an oil or the box? What should I do? What if I have a question or problem?